MASAKA – Buddu FC squeezed their way into the Masaza Cup finals thanks to a hard-fought 1-0 victory over Busujju on Sunday afternoon. 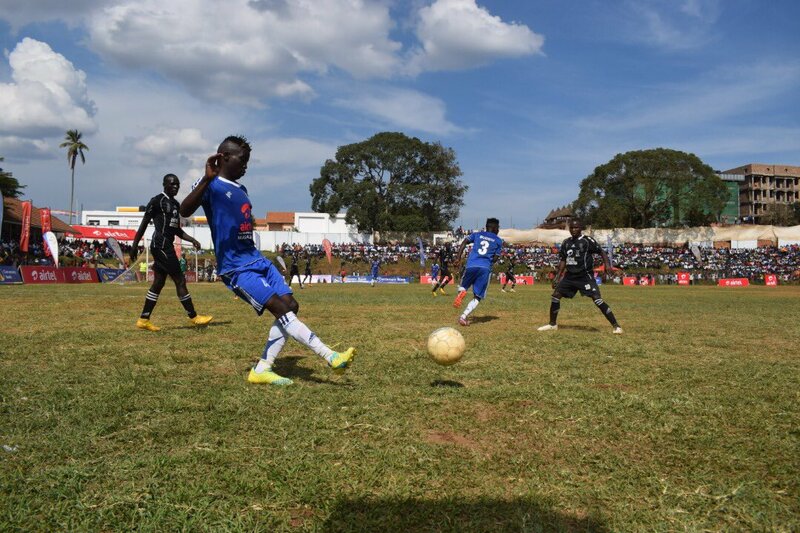 Marvin Kavuma scored the lone goal of the return leg semi-final at the Masaka Recreational Stadium on Sunday. The forward perfectly drilled a low drive past goalkeeper Sharif Magoola on the near post in the 51st minute of the game. The home side would have doubled the lead but Frank Ssebuffu’s goal on 70 minutes was canceled after an off-side call. Led by their head coach Simon Peter Mugerwa, Buddu thus qualifies for the finals and will face Ssingo in this year’s final on 27th October 2018 at Nelson Mandela National Stadium, Namboole. In the other semi final, Ssingo’s return leg with Buwekula at the Kasenyi playground in Mubende ended in a one all draw. Shafiq Bisaso’s side thus ensured qualification with a 3-1 aggregate victory. Singo and Buddu will lock-horns once again since the famous 2015 final when Ssingo humiliated Buddu 5-0 in a one-sided final. Both Buddu and Ssingo are eyeing their second title since the tournament inception in 2004. Ssingo won in 2015 and Buddu in the subsequent year. Like the norm has been, the final will be graced by the King of Buganda Kingdom, His Majesty, Kabaka Ronald Muwenda Mutebi II. Gomba has won the championship a record four times in 2004 during the inaugural edition, 2009, 2014 and last year (2017).